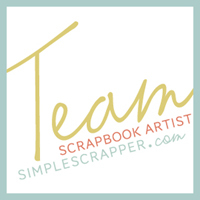 I began my Scrapbooking Audit by looking at my scrapping this year - how I spent my time, what I finished, what I didn't. Next up I want to look at my progress in documenting the events of previous years. Turns out, this isn't so easy to audit! I have a list of topics that I wanted to scrap but it's probably not that accurate. With only three topics listed from 2010, I don't think I've updated it in a while! I'm not certain what pages I have completed but not checked off and I've probably assigned space in albums for topics I haven't listed. Also, some topics just don't seem that important anymore. Looks like I'm dragging out albums and making a new list! As I mentioned in my trip down Scrapbooking Memory Lane, I began scrapbooking when I returned in 2004 from a year-long trip to europe. I don't have anything prior scrapped and I am absolutely fine with that. I might do some layouts from earlier years one day - I recently had the idea of 'My Hair and I: It's a Love Hate Relationship' using photos at different ages - but for me, my scrapping to do list begins with Europe, 2003. Out of the 2 and a half albums covering my Europe trip, only a few pages are actually finished. (16 to be exact.) Most are simply photos stuck down, the occasional post-it note to remind me of place names and no actual journaling. Apart from the sheer amount of topics and photos 12 months traveling created, my main roadblock to finishing these albums was that I was trying to do too much. I didn't want to just write journaling - I wanted to combine information and quotes from my travel journals, emails I sent and my Lonely Planet guidebooks. Talk about making it difficult for myself! This is my 'maybe one day' project. Retirement comes to mind! Between the photos and that travel journals filled with memories and stories this trip is documented reasonably well. It's just that they are going to have to stay separate for now. My next album contains the years 2004 to 2007. I have already completed scrapping 2004, 2005 and 2006 but 2007 only has the opening page and one other. I feel so close to being finished that this album is a reasonably high priority for me. After working on it over so many years I just want it done! However, I'm not particularly inspired to work on these pages. Being 4 years ago, I don't remember the stories, the details that would give me a connection to the photos. Although I have culled a few topics for exactly that reason, I still want to scrap these ones. It's the only way the photos would ever be displayed. As these pages are placed straight into the album, not into page protectors, it's easier if I work on them chronologically. (I organise my albums chronologically even though I generally don't scrap like that.) I can't shuffle them around later so I need that scrapping to do list to be definite. Up in the cupboard I have a small box of printed photos and memorabilia. It was organised at one stage and I know there are some things from 2007 but I'm not really sure what. The next step for this album is sorting out that box and recording on my scrapping to do list anything I might want to include. With four days to spare, I have finished preparing my December Daily album. (Except the cover - that's still blank.) I don't do much embellishment, just numbering the pages really, but I'm pleased with how it's coming together. I have shared Days 1 - 12 here. Previously I wasn't completely happy with the numbers on Days 4 and 10 so I added some embellishment. And here are the rest of the pages, starting with Day 13. For Day 17 I sewed around a piece of patterned vellum to create an envelope. Very easy. This is one of two pages where I have sewn the page protector to create a narrow pocket for this felt tree ribbon. I did the same in my DD last year too. I haven't numbered Day 21, the file folder shape, as I imagine think I'll cover that page with a photo, numbering on top of that. For me it doesn't make sense to finish this album on the 25th. The 26th is Boxing Day here in Australia, when I traditionally go shopping with Mum for some great bargains, and I'm on leave from work until the 3rd of January. So I'm going right through to the 31st. However, after the 26th I am planning on single page spreads, not doubles. About a month ago I started using Lightroom. Despite being an absolute beginner, I'm already really liking the program. The photos in this collage were altered with one click of the button - gotta love that! I thought I'd share a couple of the Lightroom links I've found helpful. 1. It was this Desktop Yoda on Organisation post by Peppermint of One Little Bird that made me consider upgrading to Lightroom for my photo organisation. Previously I'd organised in folders by date and event but more and more that's not how I was searching for photos. 2. Kayla Lamoreaux of Digiscrap101 has a great series of free video classes on Lightroom. They're very easy to understand and start with the basics like uploading and tagging. 3. Presets are a way of applying many changes to a photo with just one click of a button. (Like Actions in Photoshop but better!) You can create them yourself or there are many free ones about. I've found some good ones in this list. 4. There are even more good presets here at Lightroom Killer Tips. 5. Matt also has a video on installing and organising presets as well many Q&A posts. 6. And finally, here is a great resource listing 100 fantastic features of Lightroom. I certainly don't know all that the program can do but already I'm amazed. They are so many personal preferences you can save and automate. Definitely makes life easier. Mike, Sean (Bonnie and Wilson of the canine variety) and I drove up together Friday afternoon while Ben joined us in time for lunch on Saturday. The weather has been getting warmer the past couple of weeks. You can feel summer approaching now. On both Friday and Saturday the temperatures past 30C. It was perfect weather for eating outside. This pose by Wilson made me laugh every time. After lunch on Saturday we took Sean's boat out onto the water. Of course that is when it started to rain. And rain. Then stop before raining some more. Ah well, it was still quite warm. At least out of the water. I loved sitting out there on the water, chatting and laugh. Relaxing. We walked the dogs along the lake and into town for lunch Sunday morning before packing up and heading off home again. Although still a work in progress, the foundation of my December Daily album is coming together. Prior to December I am simply creating the pages and numbering them. Not much embellishment at all. The patterned paper I'm using is mainly My Mind's Eye 12 Days of Christmas collection. It is the Studio Calico album so the pages are about 6 x 8.5 inches. Although I have stuck down the numbers on the little transparency/vellum inserts, the others I have just slipped into the page protectors. It just gives me that bit more flexibility when working on my album in December. To create the file folder pages I traced around some chipboard covers I had. Where there are smaller pages like this, I have tried to make sure that the other side of the spread is full size. When I finish these pages in December I think I'll use a lot of white, toning down the bright colours and patterns. I've left a lot of space for full page photos too. This week I wanted to create an anniversary card for some friends. I was browsing TwoPeas when I saw this card by PamFSU29. Loved it and perfect for what I wanted. One average photo. 8 Lightroom Presets later. As I'm still awaiting the album I ordered (international shipping tests your patience!) I haven't done much beyond cutting paper to size. I plan to do a little embellishing and add page numbers before December but would like to see how the pages sit in the album first. I often forget about my digital items and don't use them as often as I'd like. Now, when I'm editing photos and working on my December Daily, I'll keep these pages on hand, reminding me of just what I have.